Biohacking is still a relatively new science, but if you’re a parent or teacher that wants to teach your kids how it works, Roboroach might be the solution. Roboroach, the Kickstarter funded biohacking experiment, is a $99 kit featuring a Bluetooth-powered chip, and a kit to perform surgery on a live roach. The roaches don’t come with the kit, but you can get them from your local pet store. Discoid roaches work best, as they’re incapable of flight and they have easily identifiable markings to help you complete the surgery. The surgical procedure involves gluing a three-lead system to the roaches head carapace. During this process, the roach is asleep after a quick ice water bath that sort of freezes its nervous system. After that, tiny wire leads to the roach’s wing muscles that connect to its antennae. 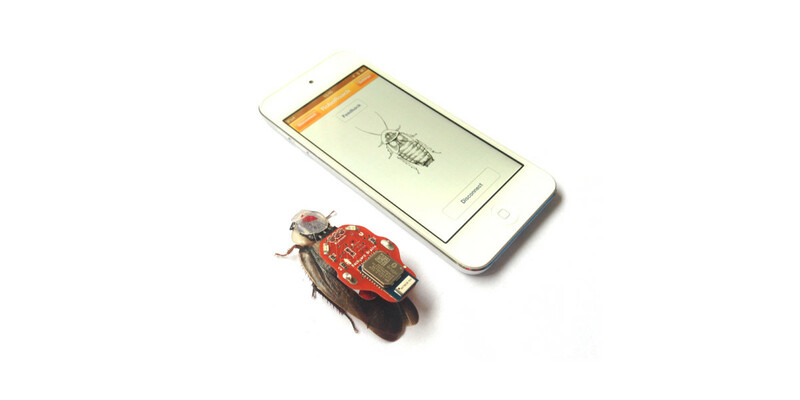 Once complete, you can control the roaches movements via smartphone. It’s important to note that this isn’t remote control, and you’re not exactly creating a zombie roach, but the signal from the chip transmitted to one, or both, of the antennae allows you to command the roach to move forward, as well as left or right. The effect only works for a brief period of time before neuroplasticity kicks in and essentially causes the roach to ignore (or forget) the signal. Once the experiment is completed, you can remove the chip, leave the leads, and the roach goes on living a full life completely unaffected by the ordeal. This does, however, raise ethical questions. You are operating on a living creature and then using this experiment to briefly control its movements. In addition, there is always the possibility that you kill the roach during surgery.